← Menu for Two – Pan Seared Sea Scallops with a Fresh Herb White Wine Sauce, Oven Roasted Potatoes and Asparagus Spears. This entry was posted in Poultry, Soups & Stews and tagged base, Broth, Brown, carrot, celery, Chicken, costco, flavor, food, how, mirepoix, onion, recipe, Recipes, rotisserie, Soup, Stock, to. Bookmark the permalink. I coսlԀn’t resikst commenting. Very well written! Always figured it was too much hassle to make your own stock except for the occasional left over turkey soup), but it makes perfect sense if you just save your “scrap” chicken in the freezer, then make a big batch of it and freeze it. What’s funny, is that growing up, my mom NEVER used chicken broth/stock in anything…it was always just water in soup, mashed potatoes, whatever. 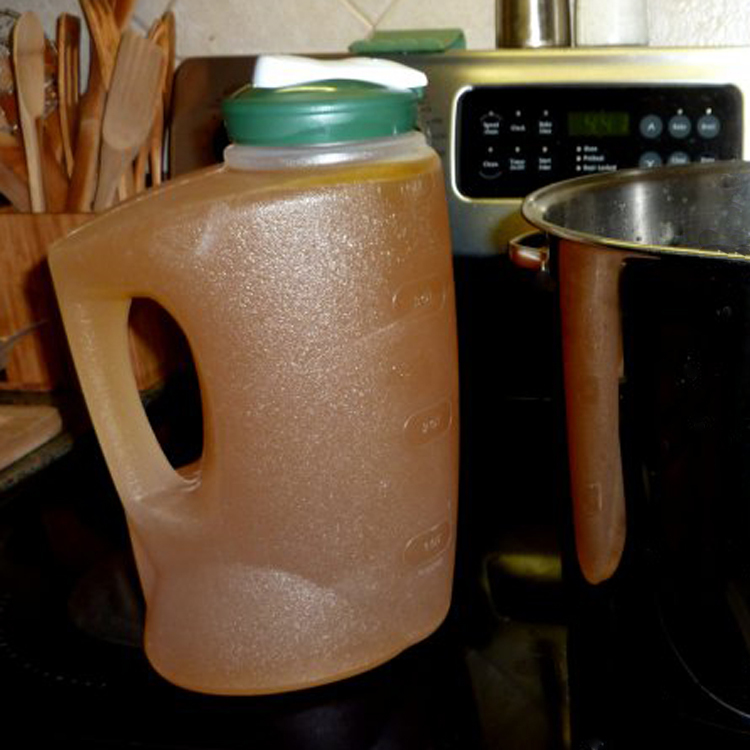 I hardly ever use water now, even when it’s called for, I’ll still use broth. However, to me, I find that almost every single packaged broth I use has hardly any taste. That is until the Progresso broth came out a few years ago (at least that’s when I first noticed it). Hands down, the most flavorful packaged broth. But broth and stock are 2 different animals, so I’m looking forward to using this recipe to try making my own. I totally agree! How did I ever not keep that “stocked” in my pantry? It is such a staple now in many of the foods I make. FLAVOR! Love when I make my own but I also like the Pacific Free Range Chicken broth. Plus it comes in easy recipe ready 1-cup containers. I am curious how the sodium relates to the Swanson Organic. In comparison, Pacific Free Range vs. Swanson Organic, the sodium is identical at 570mg. When it comes to flavor though, one of my trusted sources, Cooks Illustrated, quite surprisingly puts Pacific at 9th place out of 9 products tested! That said, I recommend you stick with the brand that tastes best to you.